A recent report from iData Research indicates that the remote patient monitoring and telemedicine market will reach a size of $5 billion by 2020. That growth is expected to break down to double-digit increases over the next five years, according to HealthData Management. 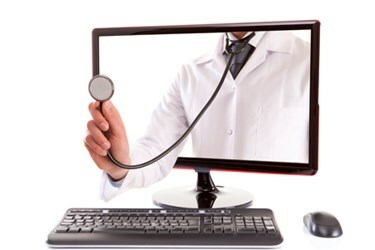 iData reports that more than half of the market will be compromised of telehealth for disease conditions management, with that growth being fueled by demand in the areas of customized healthcare solutions, an aging population facing increased chronic illness, and healthcare budgets that are continually strained. Additionally, increased awareness of reimbursement standards around the technology is expected to contribute to the market growth as both public and private organizations budget more funds over the next five years. Healthcare providers are continually pushing for more engagement in the telehealth arena, despite challenges. A survey of senior executives of both for-profit and not-for-profit providers revealed that nine out of ten reported organizations that had already begun either developing or implementing a telehealth program. The majority of the respondents (64 percent) already offered remote patient monitoring services. iData identified Medtronic as the leading vendor in the telehealth arena, due in no small part to a line of heart devices supported by their CareLink remote monitoring system. CareLink works with a standard phone line and transmits data from the device, back to a secure website. Newcomer Bosch Healthcare also made an impact their first year in the market, with their Health Buddy System and T400 Telehealth System which feature software for patient education, along with communication of historical patient data. Honeywell’s HomMed division with their Genesis Touch v2 also made the list. Their device features 3G, Wi-Fi, and 4G connectivity that connects to the company’s LifeStream Management Suite. The company also offers customized, symptom-specific management with Genesis DM, through a suite of voice-enabled and disease-specific symptom management features. St. Jude medical’s Merlin@home, Philip’s Motiva, and Biotronik’s CardioMessenger were also mentioned. To learn more about how regulations in the telemedicine and telehealth spaces may be changing your work, read, “HHS And The Future Of Telemedicine Regulations”.